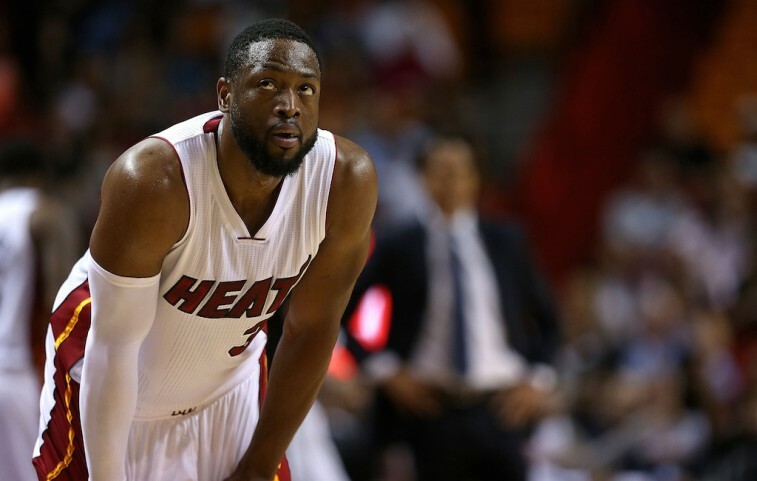 NBA: Would Dwyane Wade Really Leave the Miami Heat? Dwyane Wade has been a member of the Miami Heat since the organization selected him with the fifth overall pick in the 2003 NBA Draft. In that span, he’s been an All-Star 11 times, made eight All-NBA teams, and won three NBA titles. He’s been true to the organization, is loved by the city, and is revered as one of the most iconic players in franchise history. The Miami Heat are D-Wade’s team. He is the Miami Heat. That’s just how it is. Except, what if it wasn’t? “The Heat and Dwyane Wade have been discussing potential resolutions of his contract situation and there’s a significant difference in what both parties believe he should be paid for the next three seasons, according to multiple sources. It’s odd to think about a guy like Wade in any uniform other than that of the Miami Heat. But if the two sides are at an impasse with respect to contract talks — as sources claim — you have to wonder if the time has come for No. 3 to finally take his talents out of South Beach. There is an argument to be made that Wade is one of the best two-guards to ever step on the basketball court. When healthy, this eventual Hall of Famer was the ultimate slasher. He could get to the bucket, adjust in mid air, and make ridiculous off-balance shots. Wade had such a pretty mid-range jumper and, when feeling it, this guy could single-handedly take over a contest. His career numbers — 24.1 points (on 49% shooting), 4.9 rebounds, 5.9 assists, 1.7 steals per game) — show how effective he’s been since the moment he got into the NBA. However he has been consistently plagued by injuries. Enough of them often enough that they have to be considered a huge deal. “He’s got to change the narrative himself about his body and about his injuries and about his missing games,” Riley said. “And we had a discussion about this. But he always has to answer those questions, and I know those questions are legitimate because they’re real. We can understand that Miami doesn’t want to shell out top dollar for guy who’s not always available to play on a regular basis; even if that guy is the all-time franchise leader in categories such as points, assists, steals, and games played. Still, it’s not as if the Heat made Wade the team’s highest-paid player during the prime of his career. Only one party in this relationship seemed to be making the majority of the sacrifices. Take one guess who that was? It cannot be stressed enough that the Miami Heat and Dwyane Wade are still in the early stages of contract negotiations. 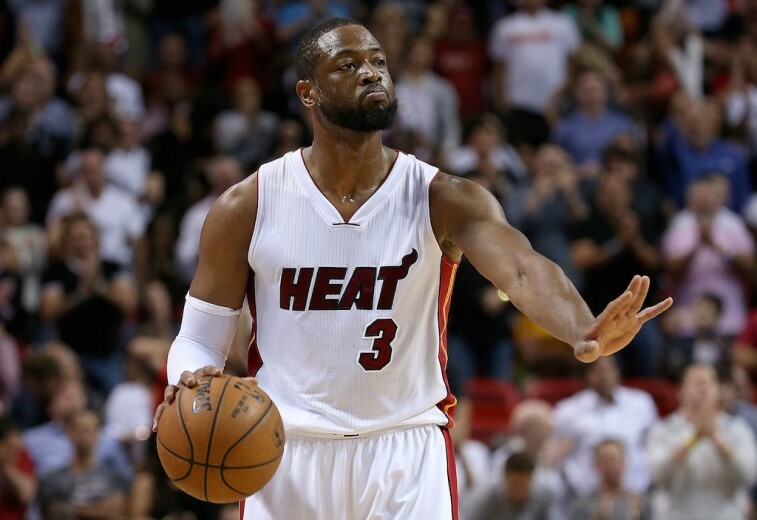 And ultimately, both sides want the same thing: Wade in Miami. But that doesn’t mean this isn’t going to be a complicated situation. The Heat still want to remain in a financially flexible position, in order to compete in the next few years. D-Wade absolutely wants to bring winning basketball to South Beach. But he’s also taken pay cuts on multiple occasions, including this past year ,when he opted out of the remaining two years on deal that still owed him $41.6 million. If it’s a matter of loyalty, then perhaps it’s time for the Heat to show its appreciation to the face of the franchise. We’re not going to lie, we have a hard time picturing Dwyane Wade in any uniform other than that of the Miami Heat. 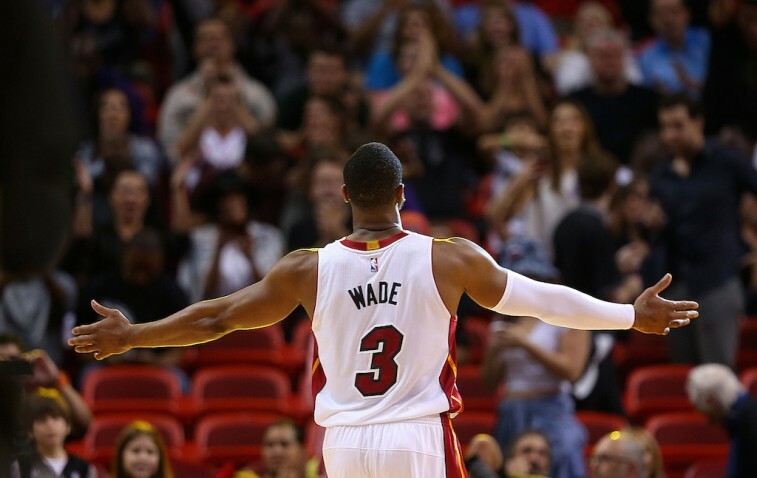 When we think of Wade, we think of the Heat. When we think of the Heat, our mind shifts to Wade. These two just fit together. It seems weird to suggest a possible divorce. Then again, after Dan Gilbert’s scathing letter against LeBron James, we had a hard time imagining the King returning to Cleveland. And look how that turned out. The Heat want Wade back, and Wade clearly wants to be in Miami. But then again, this is the National Basketball Association. Anything is possible.